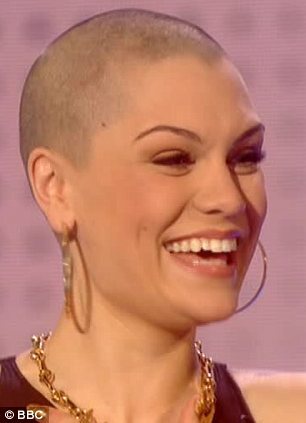 Jessie J showed off her newly shaved head on Friday night’s Comic Relief show. Jessie J said that having no hair was “the weirdest feeling” and proudly rocked the look on stage on the live show. After having her hair cut, Jessie J emerged to speak to hosts Dermot O’Leary and Claudia Winkleman about how she was feeling. While Dermot O’Leary and Claudia Winkleman wanted to know how Jessie J was feeling, she was eager to encourage viewers to donate to Comic Relief. Jessie J revealed her family were backstage crying and appealed to the audience to raise money. Earlier in the evening Jessie J spoke about why she decided to chop off all her hair, her jet black bob and fringe have been her signature style since she shot to fame. During the programme a segment aired showing Jessie J visiting some of the charities that Comic Relief helps.